Sante! 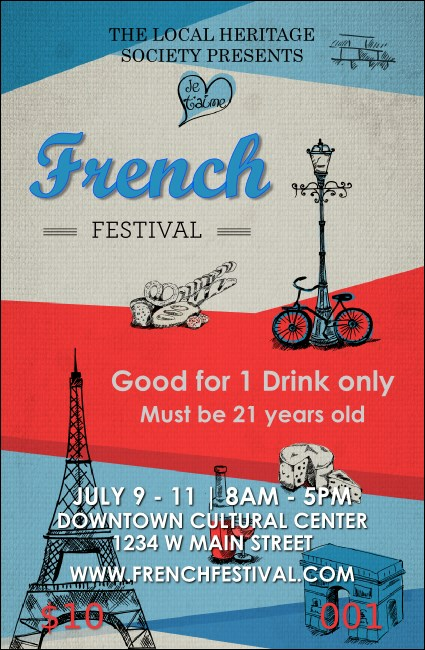 Raise a champagne flute and hand out the French Drink Ticket at your cultural event. This charming design has soft blue and red colors, with drawings of famous Parisian landmarks. Use this ticket to help service staff at your workshop, festival, or celebration.